You'll know from previous posts (here, here and here) that I am a big fan of Pixi and a few weeks ago, I was sent a very generous parcel of their liners, mascara and lash primer. I had previously used (and loved) their liquid liner and eye define pencils so I was excited to try other products in their eye wardrobe! Endless Silky Eye Pens: There are 22 shades available and I was kindly sent four. I cannot tell you how soft these pencils are, but they are non-smudgy - the perfect combination! There is no chance of poking your eye out when you use these pencils to line the waterline or around the eye area. They are seriously pigmented - completely opaque and can be worn for either a pop of colour or a full-on, coloured line look - whichever you prefer! I like to use Velvet Violet for a pop of colour as purple looks pretty with green eyes but I also adore Rose Glow because it makes it look as though I've made a lot more effort than I actually have, with a swipe of this metallic shade! £12. Eye Define Waterline: I've previously raved about this on the blog because it is perfect to use for tightlining as it doesn't transfer to the waterline. I like to tightline to make my lashes look thicker and ensure there are no visible gaps. This liner is smudgeproof and doesn't irritate my sensitive eyes. £12. 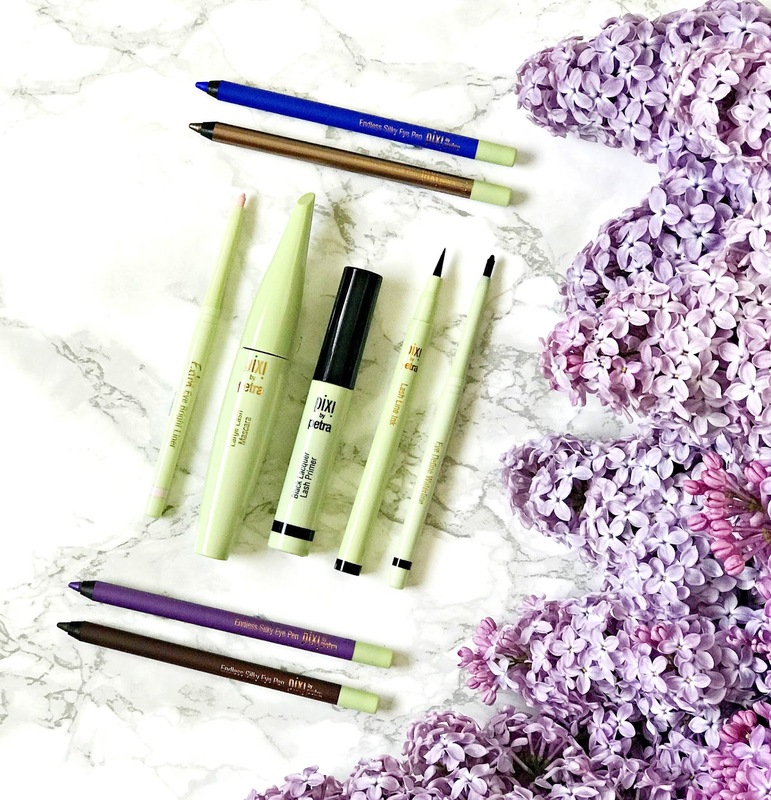 Lash Line Ink: Again, I have previously raved about this liner because it's smudgeproof and the fine tip means that it's easy to do a fine line but it's also easy to build it up to a cat flick. £12. Extra Eye Bright Liner: I love this for making my eyes look bigger or less tired. The shade is much more natural than a standard white, which I find too false-looking. This is flesh toned with a hint of pink and lavender and it really does make my eyes look bigger when I apply it to my waterline. £12. Black Lacquer Lash Primer: I'll be honest, any time I tried a lash primer in the past, I never really noticed much difference and I thought that they were gimmicks but this one really does make a difference. It has a comb applicator, which ensures that I can coat every lash from root to tip and even using this product alone adds more volume than a lot of mascaras do! I use this daily and have tried it with a variety of mascaras and it improves the effect of every one that I have tried! I can see this being a staple in my makeup bag from now on! £15. Large Lash Mascara: I was very excited to try this because everything else had impressed me so much and also I love the idea of large lashes, but sadly I was disappointed by it. It just doesn't add any volume to my lashes and I found it hard to get a lot of product on to my lashes due to the brush being very big. I think if you like a natural lash look, you might like this but if, like me, you like lashes that are dramatic and full of volume, this is one to skip. £14. Have you used any of these products? Do you use a lash primer? I'd love to hear!